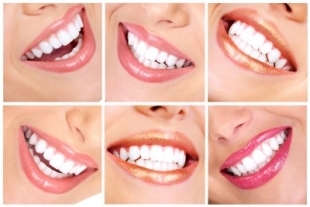 We have a smile design 4u! We can provide you with a range of treatments to improve/restore function of your teeth or to correct significant deformity that resulted from accidental injury, trauma, previous therapeutic process or congenital defects or anomalies. Great dentist and staff. Compassionate, understanding and friendly. Had 7 teeth pulled at once, and felt NO PAIN. And I was awake! Looking for a dentist who cares and knows what he is doing...go to Dr. Del Presto! From the first phone call to Michele to the time you leave, you will be very pleased! Thanks Doc & Staff!. Friendly staff AND quality care, in the same place? Almost unheard of, unless your at Arrowhead Family Dental! It is by far, my favorite dr. of all time. The staff gets to know you by your name. They are always happy and it's fun to be in the office. I actually look forward to going there (especially because they let you put whatever channel you want on while your'e getting your teeth worked on). I cannot say enough how much my whole family loves going there!